PermitPro makes record keeping easy for Building Surveyors. PermitPro provides smart technology to allow you and your staff to quickly enter and manage jobs, inspections and related directions. It reduces errors by employing a variety of validation techniques. PermitPro is compliant with the latest July 2006 Victorian Building Commission reporting requirements. PermitPro Web puts you in touch with your clients. PermitPro Web dramatically reduces your costs by letting your clients 'self-serve' inspection results and standard reports. Builders can easily see the status of their jobs and drill down to detail information to see the results of inspections and the items they need to work on. "This is the best software I have ever used." 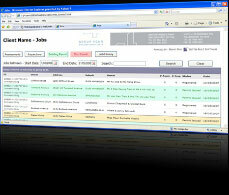 PermitPro provides a centralised database to contain all your important information about a job. PermitPro provides a sophisticated inspection management and notification system. PermitPro also provides a means to determine when your staff can perform inspections. PermitPro Web works with PermitPro to provide important information to your clients so they can get on with their business. PermitPro Web allows your clients to 'self-serve' reducing your costs to provide them with job information. 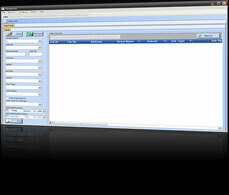 PermitPro Web provides easy to use functionality to search, navigate and group information. Effective use of color makes it easier to identify job status.